Haven’t we all wanted to be in a secret society? Now imagine instead of that society seeking power and money, it seeks to right the wrongs of others. Cool, huh? 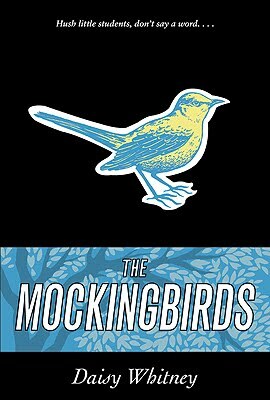 That’s the premise in GCC member Daisy Whitney’s new YA novel, MOCKINGBIRDS, which debuted this week through Little, Brown. Daisy: I don’t like being in the car more than an hour, so I avoid road trips! Daisy: When I was younger I wanted to be a Broadway actor. That I couldn’t sing, dance or act seemed to have little bearing on my desire! Q: Throughout the AMOR series, Mariana and her friends celebrate their Sweet 16s (and 15s). What did you do for your Sweet 16 or Quinceanera? Daisy: I’m pretty sure it was my night to stock candy and pop popcorn at the movie theater where I worked! Daisy: I used to be a pantser but then I had to write an outline for my editor’s approval for book 2 so I’ve become more of an outliner. I still prefer to wing the first few chapters though and then write a rough outline. Daisy: I was driving to my daughter’s preschool to pick her up! There’s no cell service at her school so I missed the first call. The second call from my agent came when I was driving home so I pulled into a nearby realtor’s office and cried happy tears! Thank you, Daisy! Now, everyone go out and buy books, lots and lots of books!